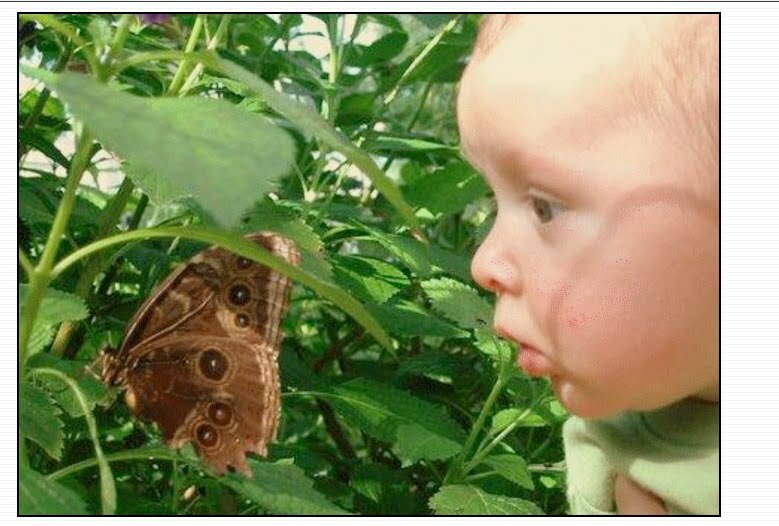 As children we are taught about the importance of our senses. We are socialized to believe that as human beings our five senses sets us apart from the animal kingdom. Our sense of hearing is important. The sense of hearing is very important. The ability to hear what is going on around you and to respond appropriately is key to communication in all of our relationships! The sense of sight is a beautiful thing. To see the beauty of nature is awesome. The picture of the baby shows us this. Our sense of taste is vital to our existence. Nature provides us with the necessary natural foods to sustain our bodies. We have an infinite bounty of food on this planet. Our sense of smell allows us to be ever alert to dangerous odors that may be offensive, deadly or toxic. We are taught a very early age the dangers of the smell of smoke which could lead to fire. So we are very cautious around fire and smoke. Our sense of touch is totally undeniably something to treasure. We long to be touched by our loved ones and friends we haven't seen for a long while. We can be touched by a poem, a song, a story or the kindness of a stranger. But the one sense we are not encouraged to cultivate and nourish is our sense of humor. Why not? Isn't the ability to laugh just as important as seeing, hearing, tasting, touching and smelling? I bet you could remember something funny that happened when you used a particular sense. I know I can. So I am encouraging you to use humor and laughter when you are facing a challenging time in your life that may be frustrating, frightening, or stressful. "From here to here and there to there, funny things are everywhere"
We learn and grow with our five senses but we tend to forget that we shouldn't take life living situations so serious. When we laugh we learn to look at negative things in a more positive way.